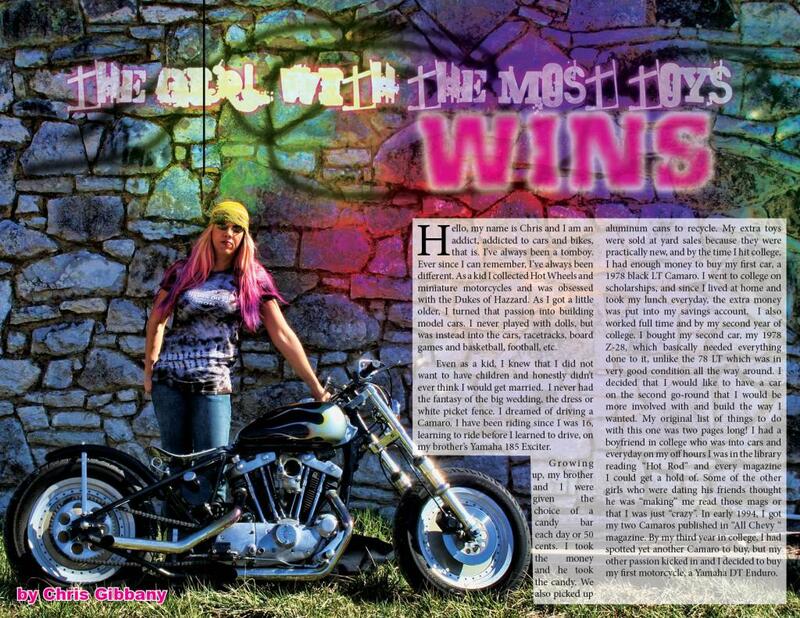 This is a preview of my feature in Throttle Gals magazine. Looks like they will be coming out next month, shipping on March 11. I wrote this story back in May- funny how things change even in under a year. But at the time this was the best story I could write. It is INDEED my story but I can tell in just a short time that my writing skills have improved DRAMATICALLY, which is a good thing. 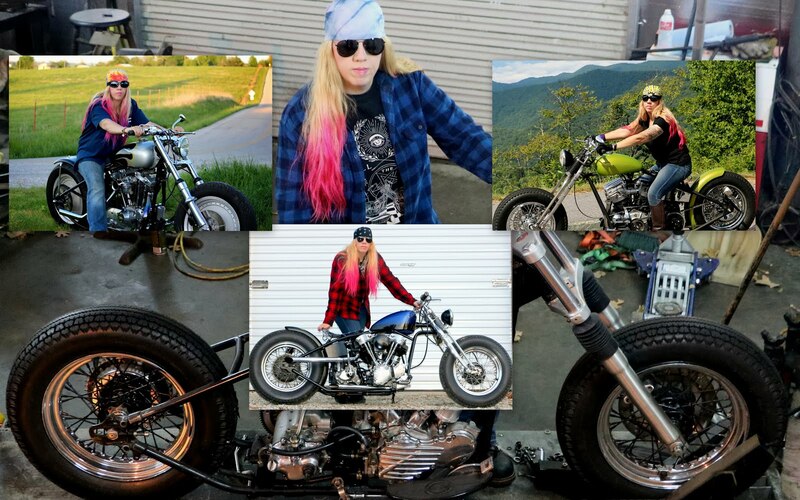 Also funny, how my 56 Panhead is now in mock form of the way I envisioned it whereas when I sent pics in of it, it was in my other, more conventional Jammer frame. I don't know how many pictures they will use, of my 20 years as a gearhead, but I am totally excited for it to get here! I may not have grown up in a "car/bike family" or had any great money or talents passed on to me, but I have made the best of what I have and created my own interests without any family or friends persuading me in one area or another. I can truly say that I have chosen this life for me without anyone's influence. This is my life, this is me and this will always be me! 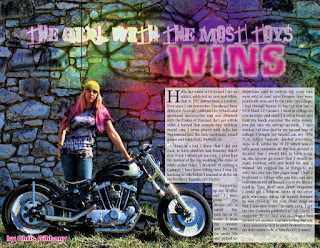 My story starts on page 14!